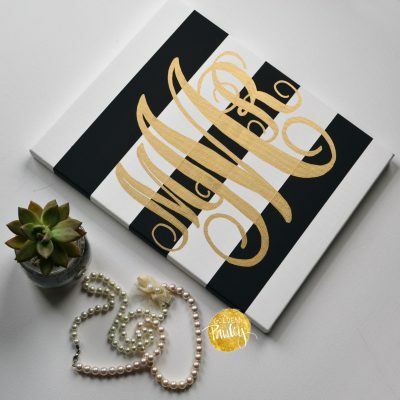 This custom monogram canvas painting is dripping with preppy chic style! 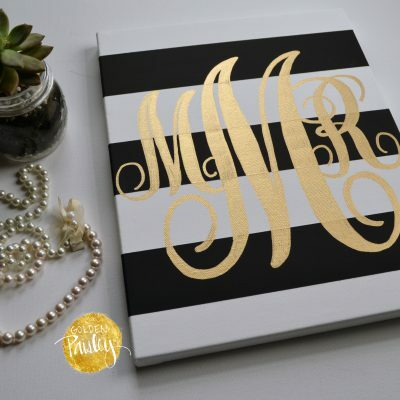 The painting features hand painted black and white stripes in the background, then customized with your monogram in metallic gold paint. This canvas art is 100% hand painted, not a computer print or vinyl. 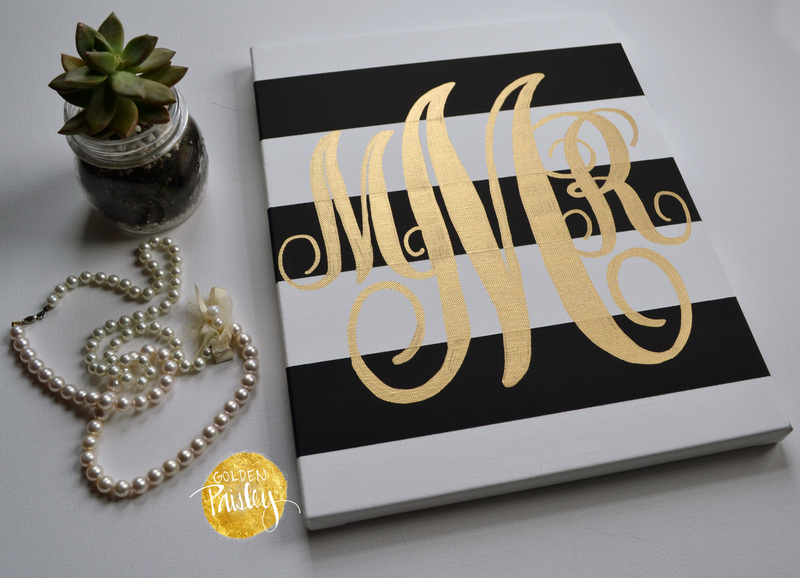 This cute painting would make the perfect dorm decor, and would also make an amazing gift for a party host or bridesmaids! 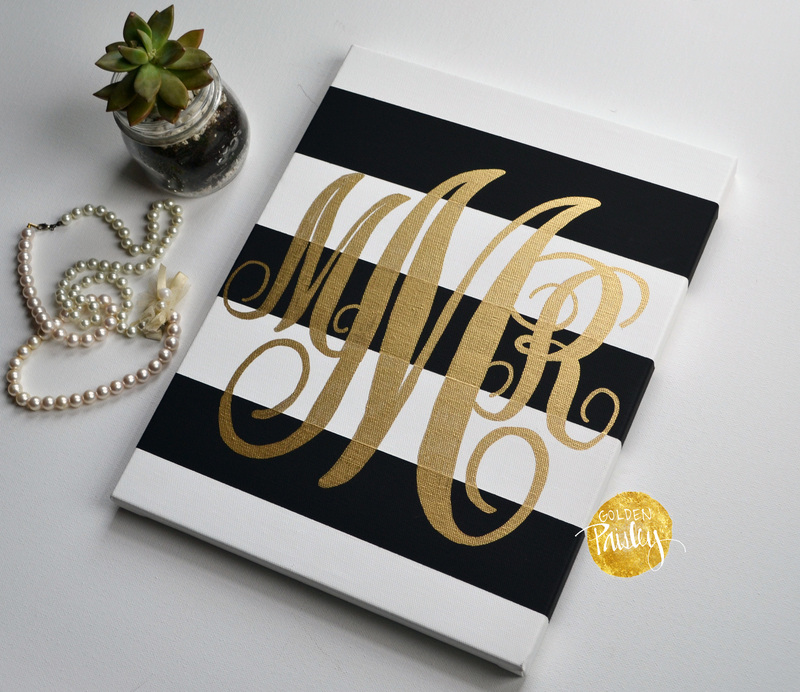 Please write the monogram letters you’d like in the notes field upon checkout. 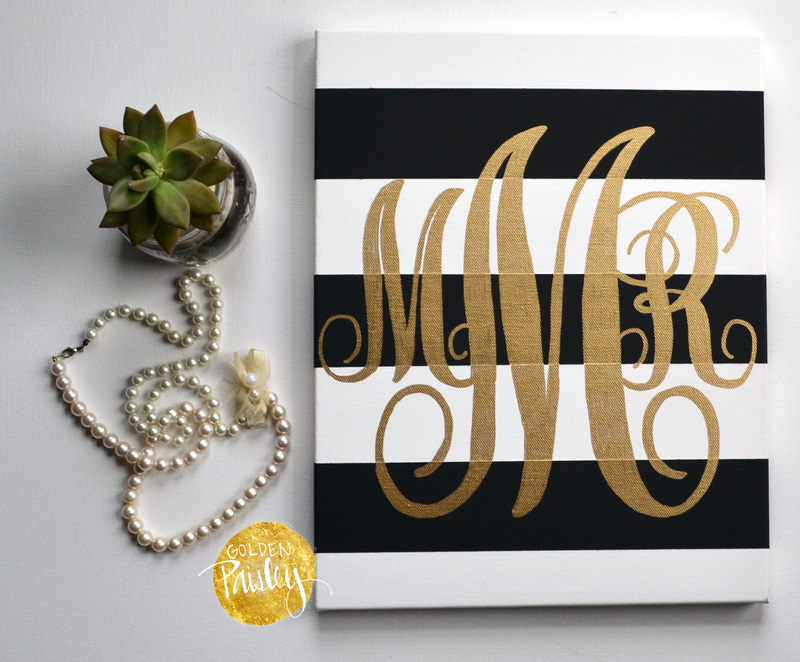 Traditional monograms feature the last name as the largest letter in the middle, first name on the left and middle name on the far right. 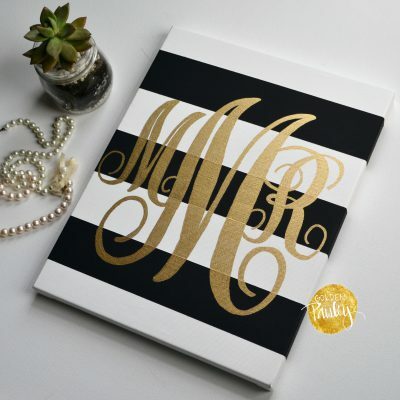 Another alternative for a couple’s monogram is the last name largest in the middle, then his name on the left and hers on the right. Production time is 2 weeks from date of purchase. Please double check the letters and letter order you send. Canvas will be made exactly how you type it in the notes field. 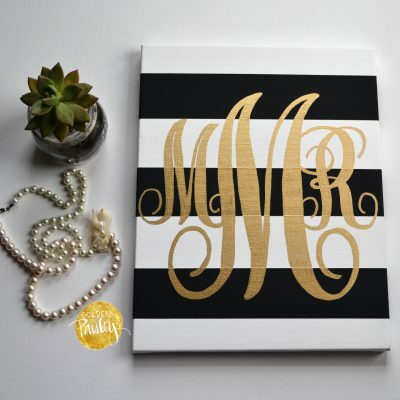 Want this in another color? With another phrase? 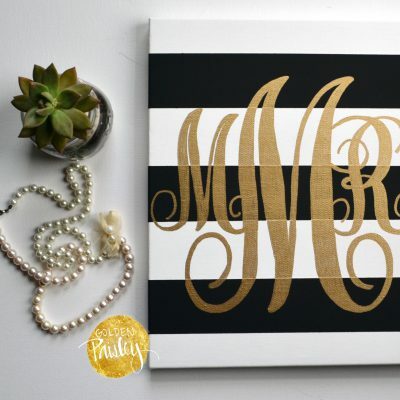 All of my canvases are 100% hand painted and can be customized to fit your decor! Convo me for details!